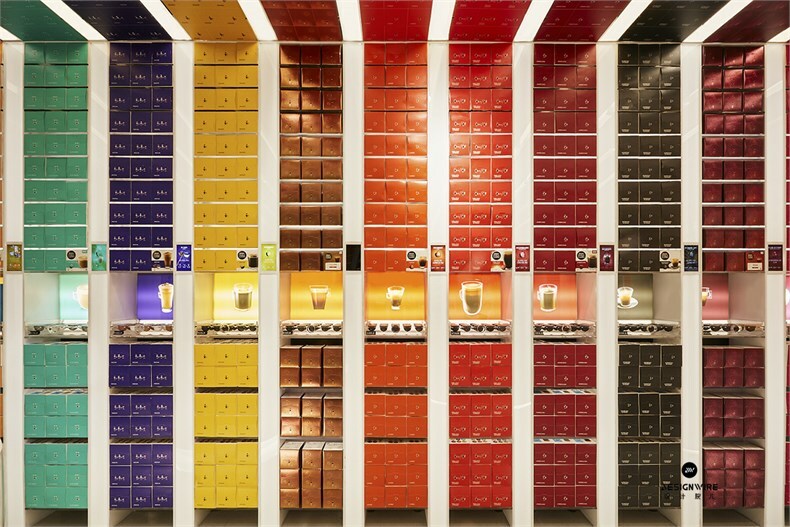 SODA Architects believe that the future commercial space will be a smart terminal that people could step into. 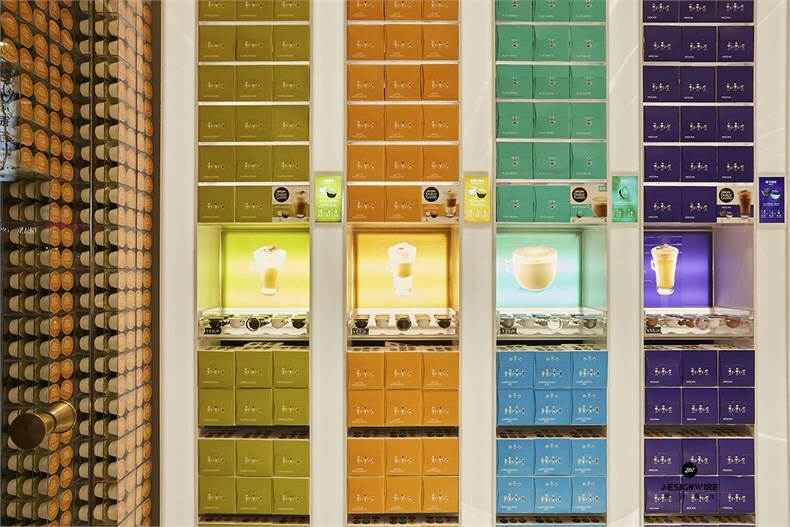 Commissioned by Nestle，SODA has finished Nescafe Dolce Gusto‘s first concept store in the world in Shanghai, which is a avant-garde practice of this concept. 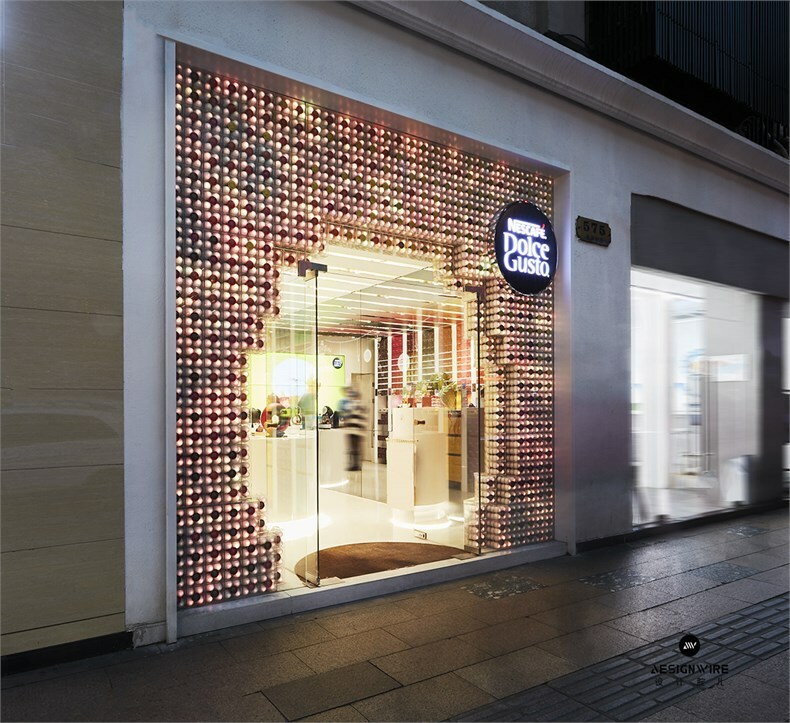 Facing Huaihai Road, it is composed by 3000 capsules, which changes with time and theme. 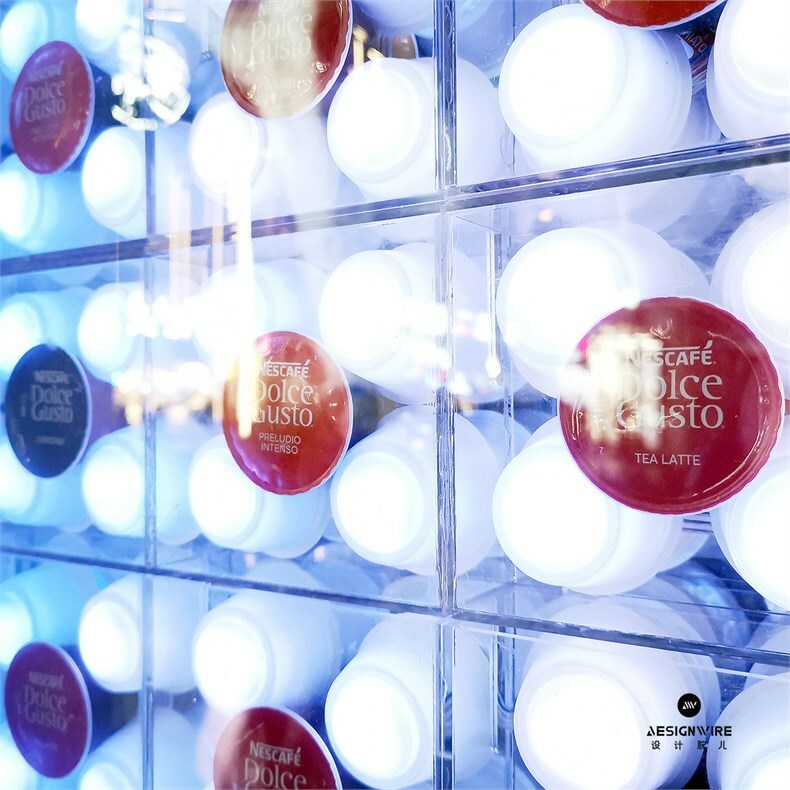 We placed a programmable LED light in about 1000 white capsules to make each of them like a single pixel. 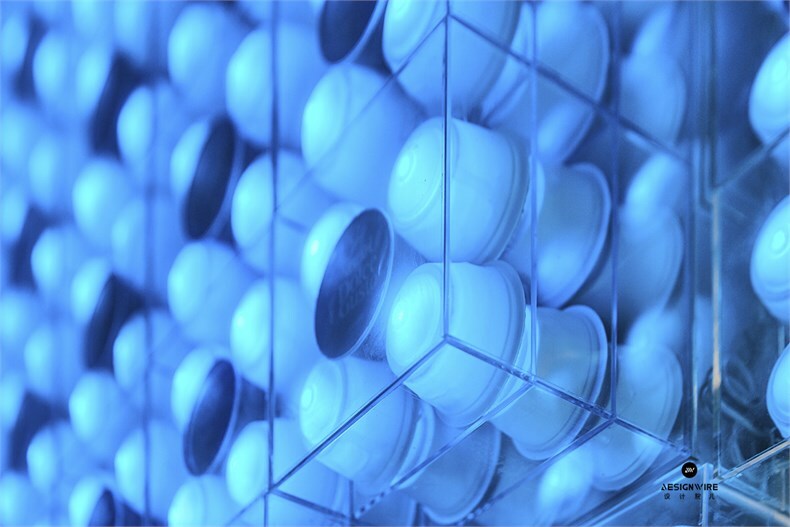 Every 15 capsules are packed in a transparent box. 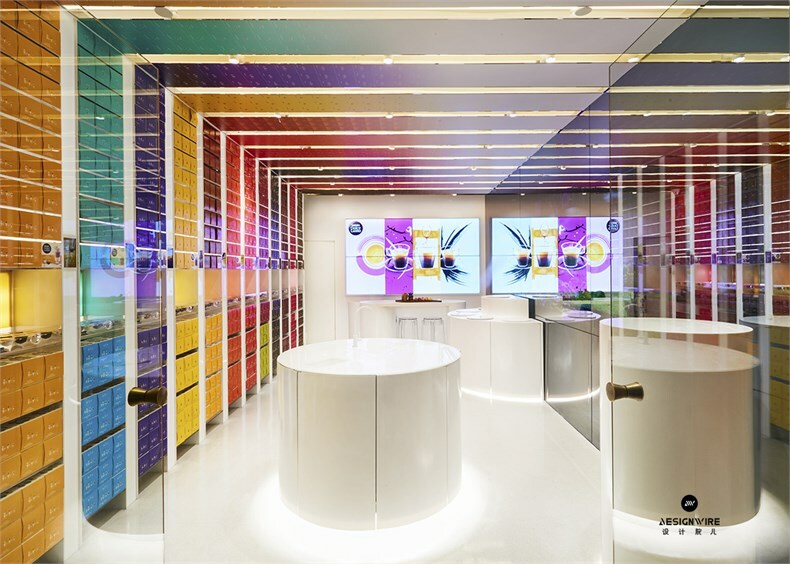 All the boxes together create a 3 meter by 3-meter multimedia screen, presenting a low-resolution but interesting dynamic image. 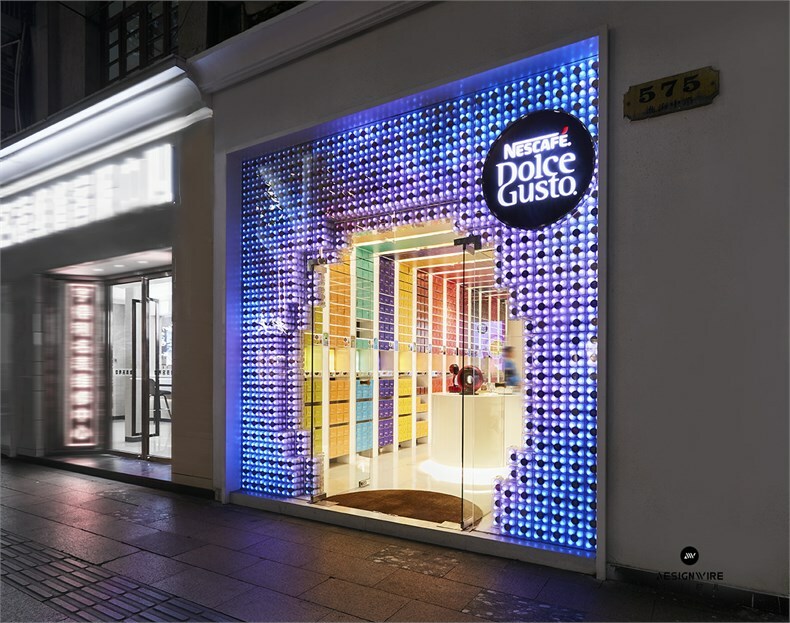 The inner surface of the space is covered by capsule boxes of different colors and semi-transparent mirror walls. 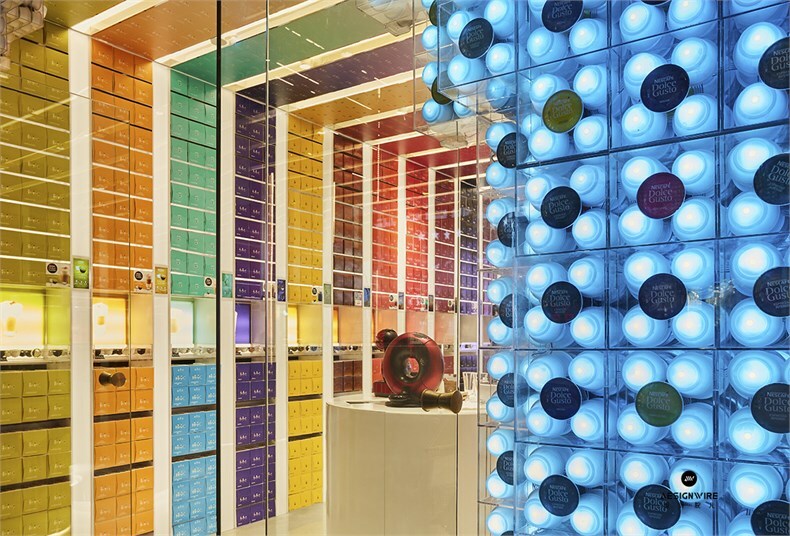 The capsule box on one side of the wall and the top surface, plus the reflection of the translucent mirror, allows the entire space to be wrapped in the bright color of the capsules. 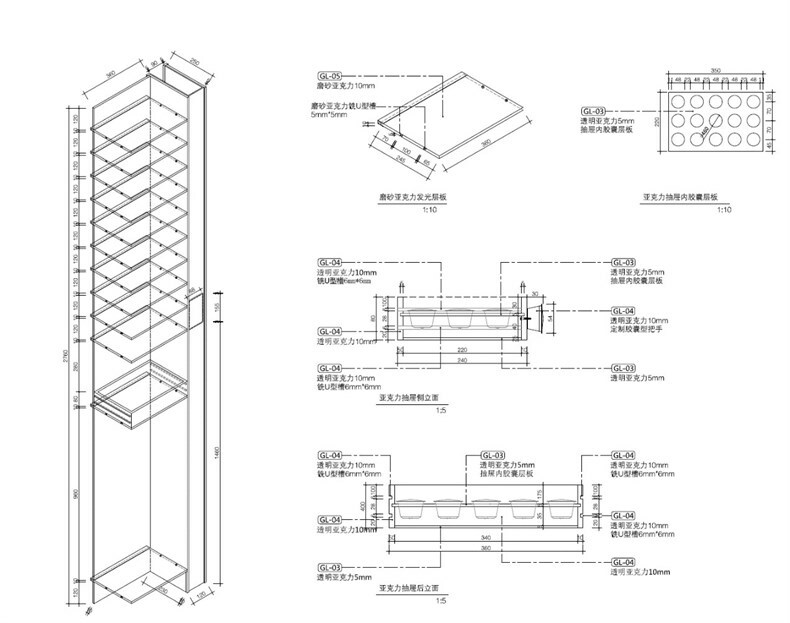 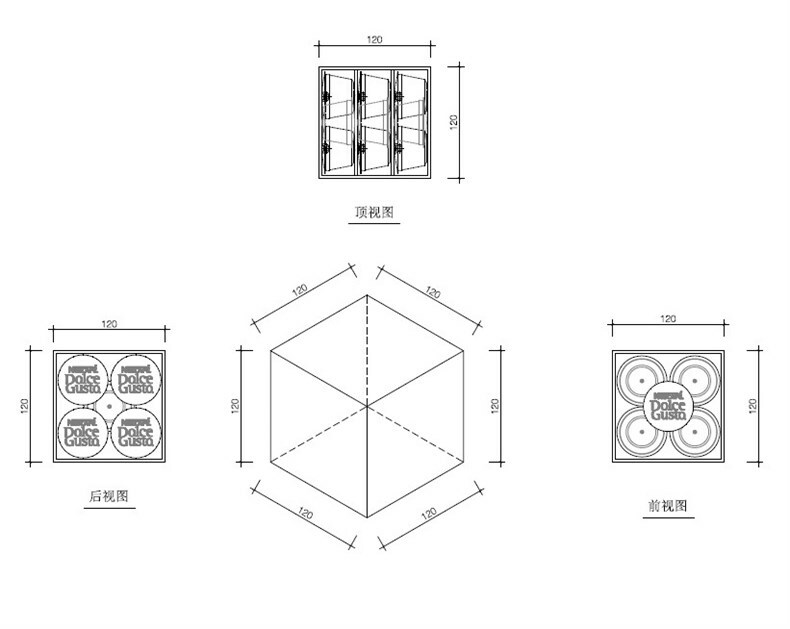 In the central part of the space is a pure cylindrical stand like a sculpture base. 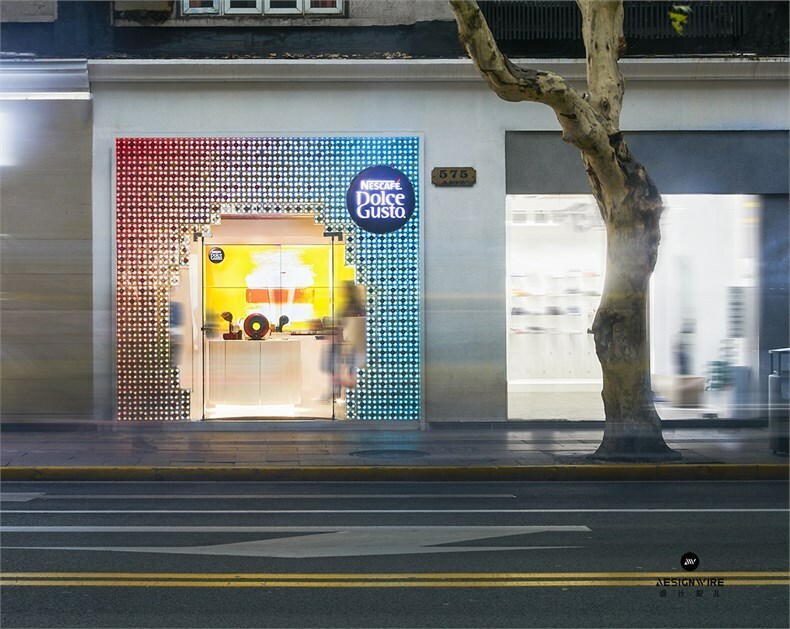 When people approach this semi-transparent mirror, they could find a floating multimedia image. 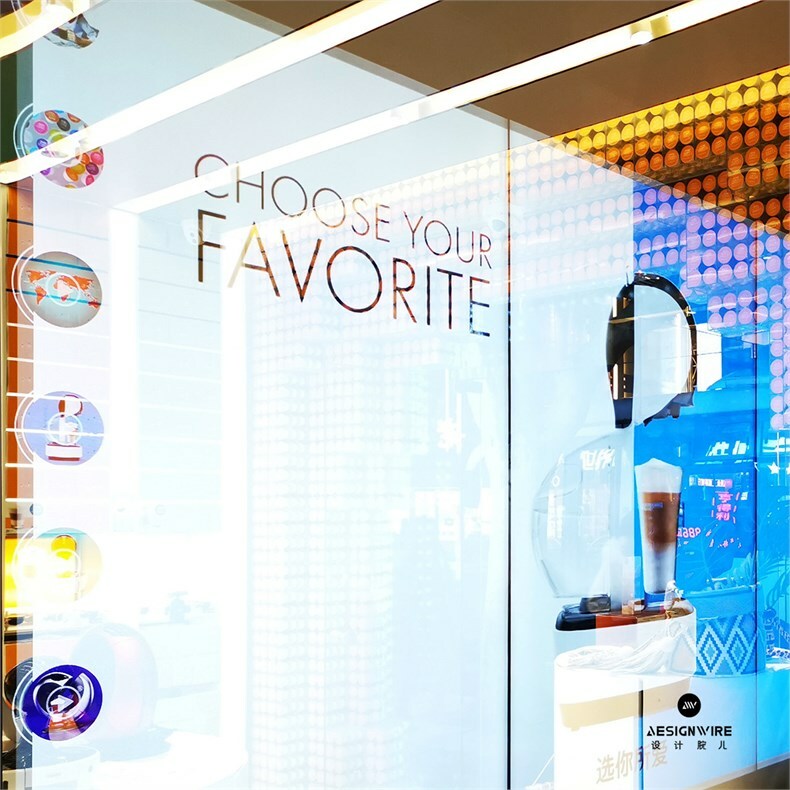 The built-in large display and interactive equipment makes the entire wall becoming a huge touch screen. 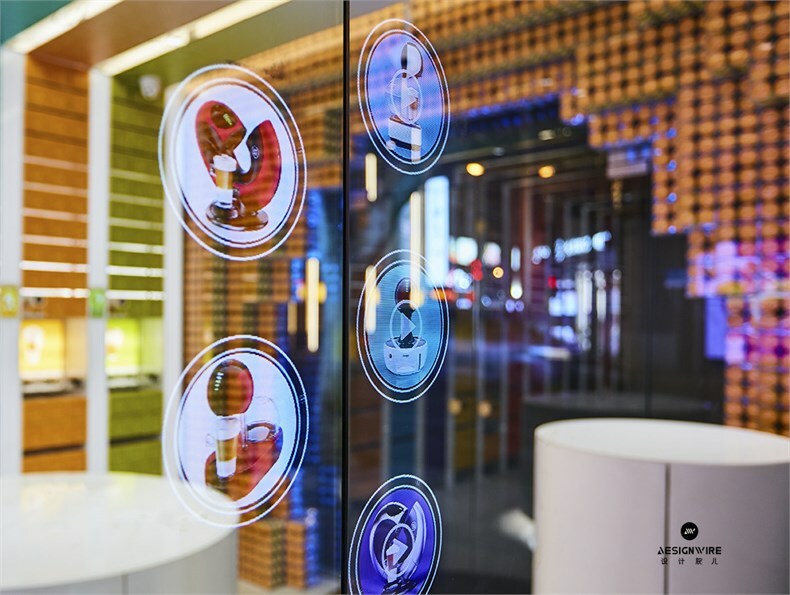 While having a cup of coffee, people could conveniently watch on this screen or play with the multimedia screen. 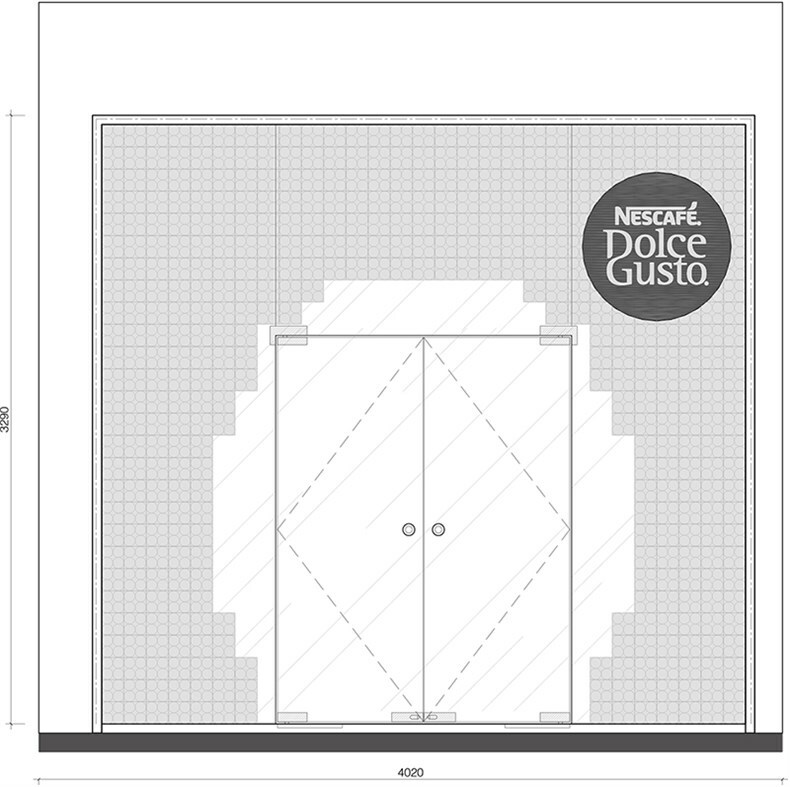 We are taking the product itself as the most basic element of the space. 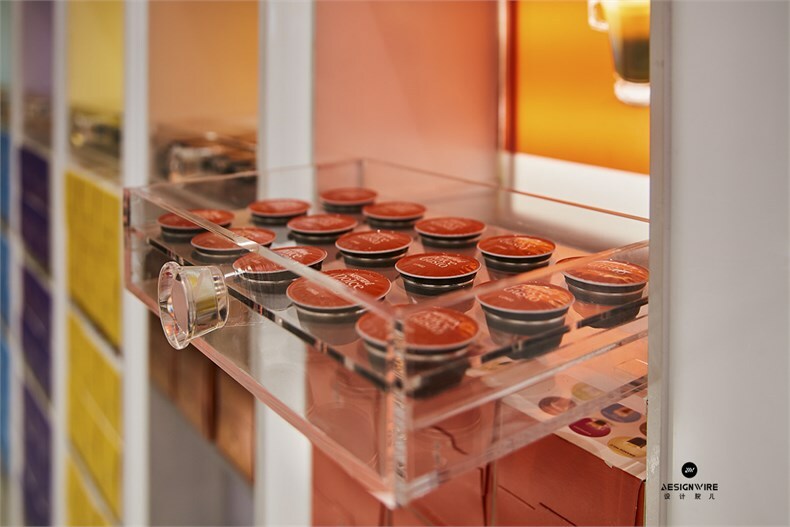 Integrating the interactive media technology invisibly to create a brand new, colorful, optimistic and innovative space experience that fits the spirit of the Nescafe Dolce Gusto brand.